Small and compact electronic warbler. Use in place of a ringer, or where you simply can't fit a ringer. Emits a pleasant electronic tone. Oldphoneworks.com is now offering a selection of AS-IS phones for the seasoned collector. We have not reconditioned/refurbished these in any way. What you see is completely what you get. You will be receiving the ACTUAL phone that is pictured. The phone is boxed,sealed- and ready to ship. Viking Electronic's 1600A Series Emergency phones are designed to provide quick and reliable handsfree communication over the public switched telephone network. Viking Electronic's 1600A Series Emergency phones are designed to provide quick and reliable handsfree communication over the public switched telephone network. 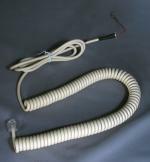 The 1600A series meets ADA requirements for elevator telephones, and can be programmed from any touch tone phone. 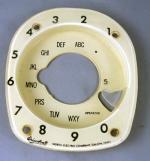 Original Transmitter element adapter for Ericofons. Colors vary. 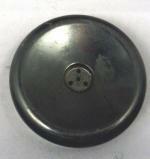 We will build your Rotary Ericofon with an original Ericofon Buzzer. Please add this item to your cart with your Ericofon purchase. Original Ericsson Magneto Crank. Also fits Western/Northen magnetos. European wall phone made by Ericsson. Features a mute button and beatiful Siemens B.P.O. dial. Handset for Ericsson Deskphones. Has classic spitcup transmitter. Buffed to a high gloss sheen, and test to ensure optimal performance.